This week’s review promises full-bodied flavours with a trio of one malt and two blended Scotch whiskies all bottled for the American market. 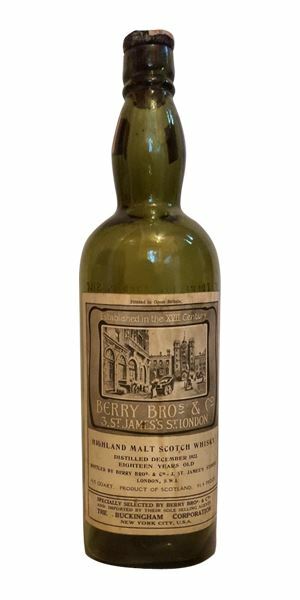 The rarest of the three, Highland Malt Scotch Whisky, was distilled in December 1922 and bottled at 18 years of age by Berry Brothers & Co, just prior to the company changing its name to Berry Brothers & Rudd, which happened in approximately 1940. This bottling was imported into the US by the Buckingham Corporation in New York. MacRaild finds it to be a punchy, peaty example reminiscent of a lost style of Scotch malt whisky. 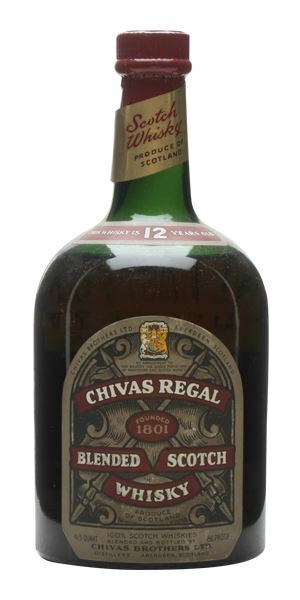 Next is a Chivas Regal 12-year-old blend that was also bottled for America, this time hailing from the 1950s. Much like the Berry’s Highland Malt, MacRaild feels this bottling represents an exemplary style of old-school, peaty blended Scotch whisky. 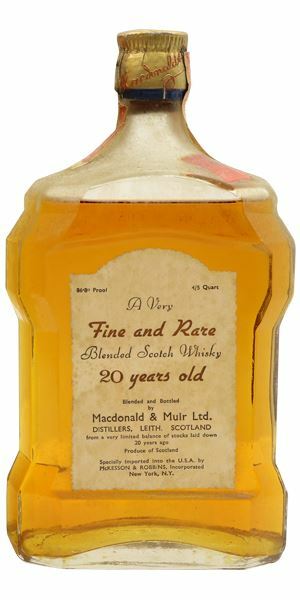 To round off this session is another rare blend, a 20-year-old by Macdonald & Muir. This whisky was bottled in the 1940s and imported to the US by McKesson & Robb of New York. There’s a perplexing lack of evidence of grain whisky in this blend, but MacRaild asserts this makes it a terrific whisky in its own right. It is still resinous, and fabulously powerful. A big, lavish duvet of old-style peat. Wintergreens, Fisherman’s Friends, hawthorn, metal polish and antiseptic, mixed with charcoal and soot. An expansive, rain-sodden and mossy wilderness of bracken, mire, sheep wool, iron and muddy hessian. With time comes lemon waxes and citronella candles; somewhere in the depths there’s Euthymol toothpaste and an old copper coin dropped in brine. An ancient and spellbindingly evocative style of whisky. Leathery and peppery in texture at first. Lots of hessian, boot polish, caraway, mosses, toasted fennel seeds, lime zest, vapour rubs, dried herbal liqueurs, ointments and medical tinctures. More oily wools, menthol eucalyptus notes and notes of camphor, graphite oil and some tingly minerals. The peat seems to have deconstructed itself into all these Tarantino-esque, sub-genre flavours. It’s waxy too. A petrolic, overabundant texture that leaves sharp and saline dryness in its wake. Long and warming. Ashy wood embers, smouldering rosemary branches, cough syrup, lozenges, salt water and mineral elements like clay and an umami anchovy paste note. The kind of whisky that necessitates a steeling of one’s self against needling emotion. This is powerful, resinous, uncompromising and an extremely old-fashioned malt whisky, unlike anything else produced today. Some aspects of it, particularly the palate, might even be described as difficult or tough, but the overall impression is one of deep sophistication, complexity, charm and a vivid, vocal composite of its raw ingredients. A whisky uplifted to distinction by the brute processes of its creation. Political machinations in a smoke-filled room in the St James Club in 1940. An initial herbal sweetness gradually gives way to a meandering, sooty smokiness, herbal resins, mint leaf, shoe polish, dusty waxes, aniseed and wee hints of canvas, rope and pitch. In many ways it shares similarities with the Berry’s in that it displays these fusion notes of dry herbal peat, medicines, waxes, camphor and various oils. Only here there’s the added grip of a very faint grain component. A perfect traditional, peaty blended whisky. Coal tar soap, bitumen, tar, mentholated oils, pine resin, graphite oil and walnut extracts. Sappy, peaty and medicinal with more notes of metal, polish, hessian rags and linseed oil. Extremely punchy, resinous and full-bodied – almost spicy. In time there’s more softness in these damp sackcloth notes, fragrant sandalwood smoke and a move towards notes such as pipe tobacco, unlit cigars and even some light fruitiness like wild strawberry. Fab! Long, hearty, peaty, oily, mentholic and invigorating. A salty sharp whip of acidity in the aftertaste keeps everything lean and clean. Different again. Obviously richer, more petrolic, waxier, plush with oils and minerals and big fragrant notes of sandalwood, dried herbs and salted mead. A sublime aroma, one where it’s impossible to detect any grain influence. It comes across as an exuberantly fatty malt whisky. Background notes of soy sauce, lemongrass, umami paste, hessian, ink and a rather intricate briny peat. Harmonious, fresh and beautifully balanced. Soft curls of flint smoke with sourdough starter, smouldering beach wood, preserved lemon, iodine, seaweed crackers, candle wax, canvas and paraffin wax. A minty kind of medicine, some hawthorn, vapour rub, herbal extracts and very old green chartreuse minus the sugars. There’s lemon balm, background dry peat smoke and some sizzling bacon fat as well. Powerful stuff that feels like it punches well above its declared strength. Amazing for such a length of time in the bottle. Long, lemony, grassy olive oil, yeasty, ever so slightly metallic and full of waxes, tinctures, soft peats, mineral salts and mixed dried herbs. Stellar old whisky. Once again the question hangs over the grain content – if any. It probably had a reasonable proportion of old Glenmorangie inside. Whatever the composition, this has lasted stupendously well in bottle. A majestic old whisky that, like the other two, displays a character unlike anything made today. Tucked up snug with a good book between the tartan and stone of an old Highland tavern. The hustle and disagreements of the online whisky world fade fast into the distance. 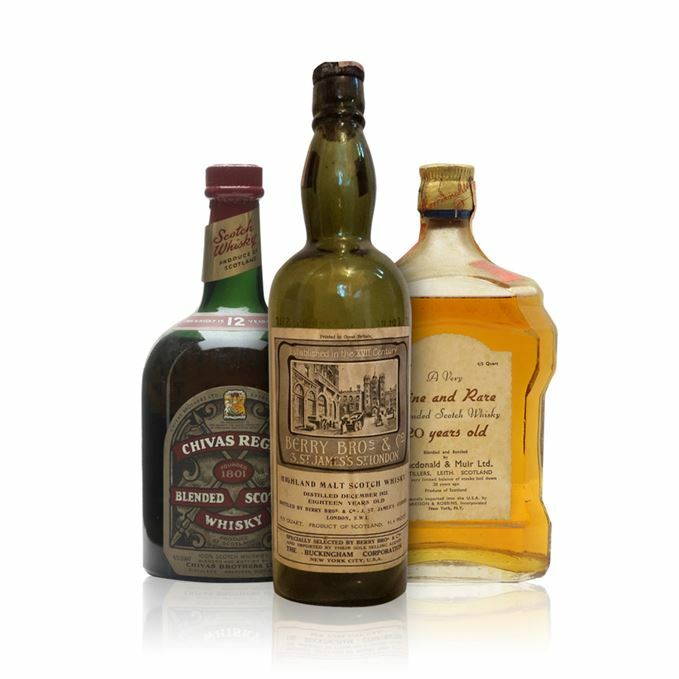 Image courtesy Scotch Whisky Auctions. Rare Batch 54 19/12/2018 A rare Karuizawa and cult whiskies from Laphroaig and Royal Brackla astonish MacRaild. Rare Batch 52 21/11/2018 A trio of early releases from the SMWS, including Glendullan, Glen Esk and Inchmurrin.